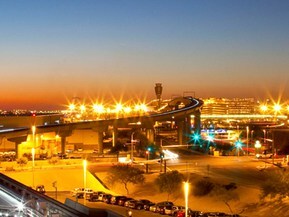 Phoenix Sky Harbor International Airport is Arizona’s largest economic engine, attracting nearly $29 billion a year. If you boarded a plane at Phoenix Sky Harbor in March, you probably noticed that America’s Friendliest Airport® was bustling with passengers and activity. That’s because you happened to visit Sky Harbor during its busiest time of the year. An average of 140,000 people passed through the airport’s gates each day in March, an almost 30 percent spike over its typical daily count of about 110,000 passengers. The airport is Arizona’s largest economic engine, attracting nearly $29 billion a year. More than 30,000 people work at the airport, from ticket agents at airline counters to serves at the numerous restaurants to sales representatives at the myriad of stores throughout each of the terminals and much more. Last year was a banner year for Sky Harbor International Airport – more than 44 million travelers were served, setting a new record for total passengers. Overall, year-end numbers showed a 4.5 percent increase in total passengers compared to 2014. The previous record for annual passengers at Sky Harbor was set in 2007, when the airport served nearly 42.2 million passengers. Phoenix Sky Harbor offers nonstop service to more than 100 destinations. As aviation staff works hard and meets with airlines on new international service, expanded service in the United States is a priority, too. One example of expanded service within the country is American Airlines’ recent launch of four new destinations out of Sky Harbor: Lubbock and Midland, Texas; Roswell, N.M. and Memphis, Tenn.
Southwest Airlines is also expanding service at Sky Harbor, unveiling service to the Midwestern skies of Wichita, Kan.
Next time you visit the airport and encounter more people, remember that more passengers mean more business and a stronger economy, from which we all benefit.